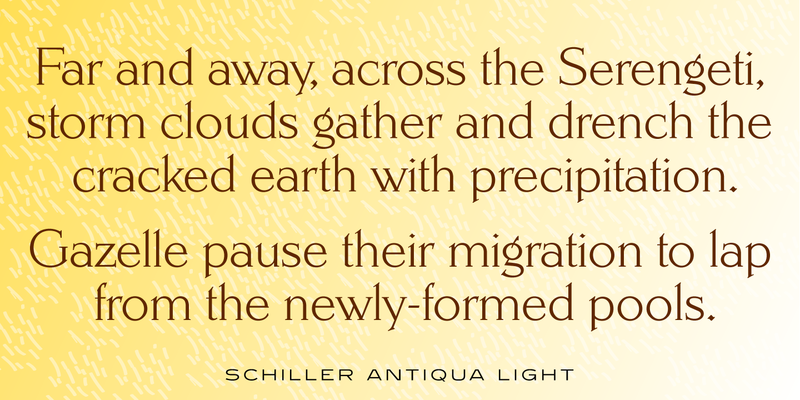 Schiller Antiqua is a decorative serif font family with a small x-height and distinctive letterforms. It was created and produced by Steve Jackaman (ITF) in 1993, and is based on “Hispalis” from Nacional, a Spanish foundry. 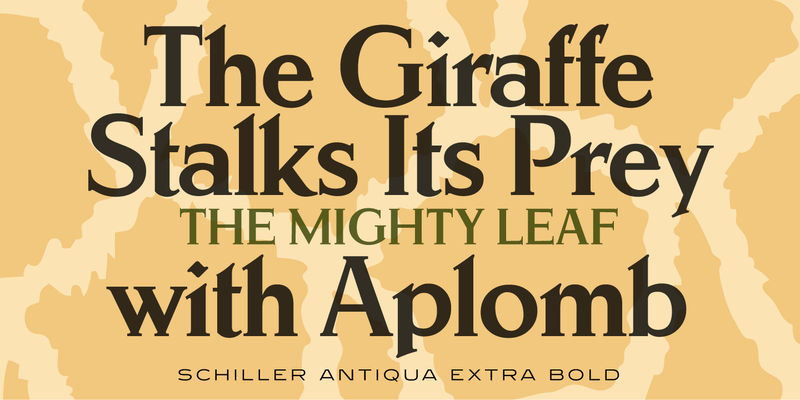 During its operations, Nacional employed prestigious designers and was notable for its striking art deco typefaces. 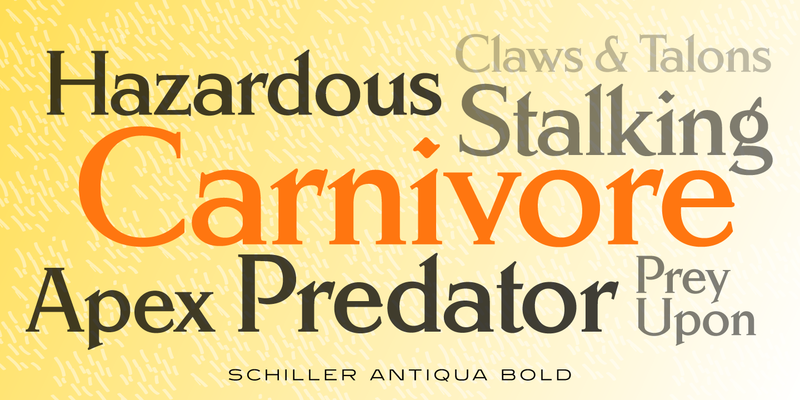 Schiller Antiqua, as its name suggests, has an antique look that stems from its 1900’s typographic influences. 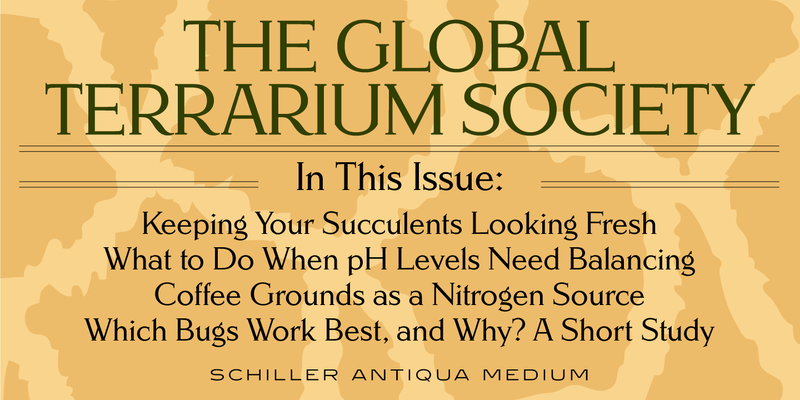 At paragraph size its serifs give it a crisp feel, and at display and subhead sizes its antique roots really shine through. 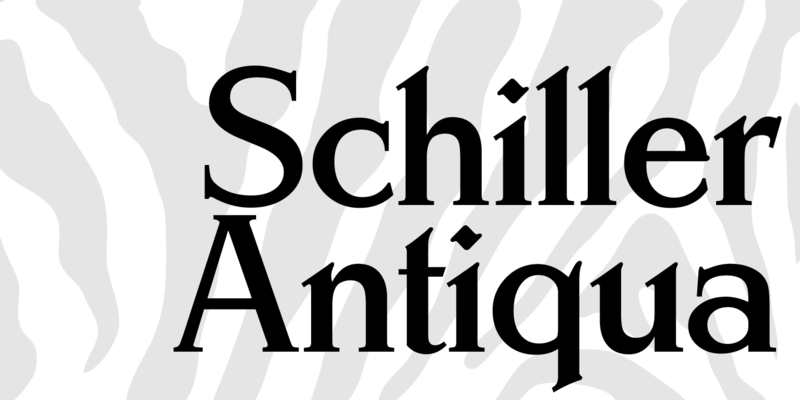 Schiller Antiqua is a trademark of International TypeFounders, Inc.